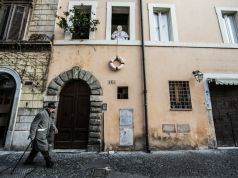 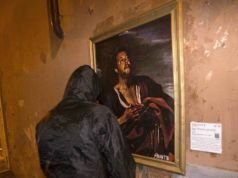 Rome street artist Lucamaleonte pays homage to S. Lorenzo with motifs associated with the quarter. 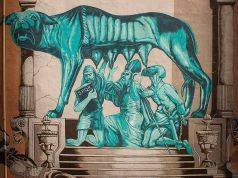 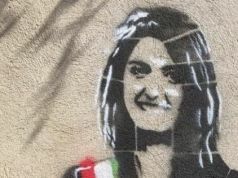 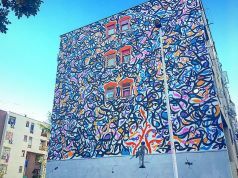 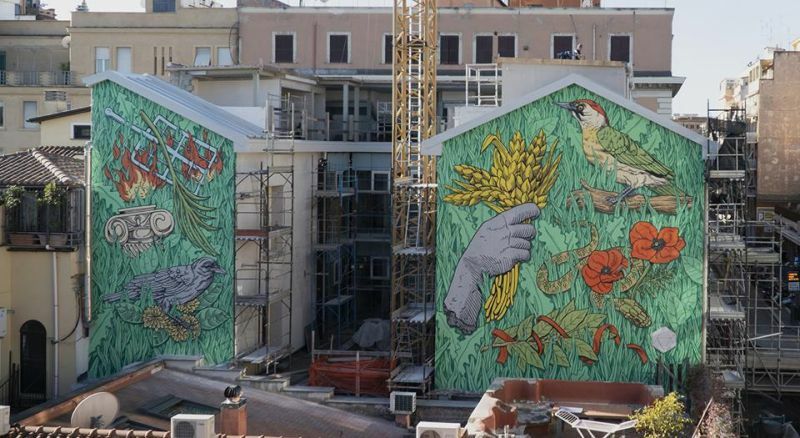 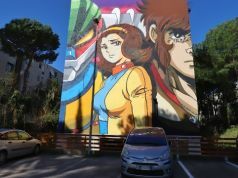 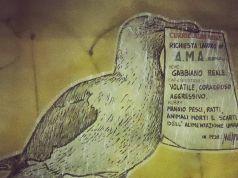 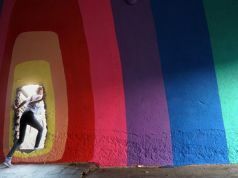 A new mural by celebrated Roman street artist Lucamaleonte will be inaugurated in the S. Lorenzo district of Rome at 18.30 on Friday 8 February. The work is sited on the gable ends of an interconnected building, between Via dei Reti and Via dei Piceni, which suffered major damage during the 1943 bombing and was recently restructured. 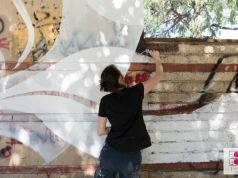 Entitled Patrimonio indigeno, the visually arresting mural features motifs symbolic of the S. Lorenzo area, from the gridiron on which the martyr St Lawrence was burnt alive, to the crow and the chrysanthemums in reference to the nearby Verano cemetery. 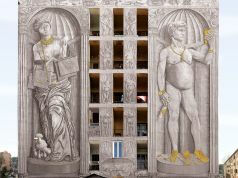 There is also the hand of Ceres - the goddess of grain crops; laurel leaves and the serpent of Minerva - symbols associated with Università La Sapienza; and the poppy in memory of those killed in the war, with "explicit reference to the indomitable partisan and anti-fascist spirit of the quarter", according to the project's press release. 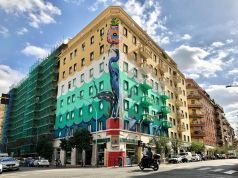 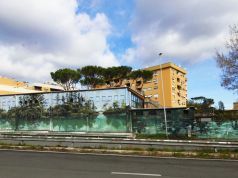 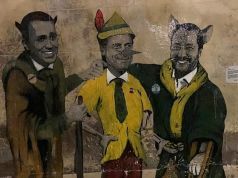 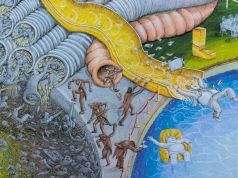 The mural was curated by Marcello Smarrelli with collaboration from real estate company SCS Sviluppo Immobiliare SRL and Fondazione Pastificio Cerere, a S. Lorenzo based non-profit foundation which develops educational projects and residencies for young artists and curators. 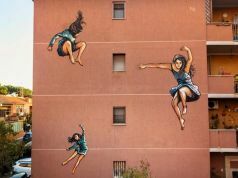 Lucamaleonte is well known for his graphic stencil creations, often on a large scale, and his work has featured on the covers of Wanted in Rome magazine in recent years.